Snapchat introduces Snap Maps and Owl Labs releases a robotic conference call camera called The Meeting Owl. Co-Pilot is a new program that knows which user generated content is the best and Super Mario Bros. can be experienced in augmented reality. As for floating chicken, KFC is sending their new menu item to sail the stratosphere for a few days. No, this is not a prank. It’s the Weekly Wins! The map will also feature popular hot spots for collaborative “Our Story” posts when many users are posting from the same location. Snap Maps will increase location tracking capabilities for advertisers, too. Brands will be able to locate where people are and pin-point popular places to geo target products and messaging. 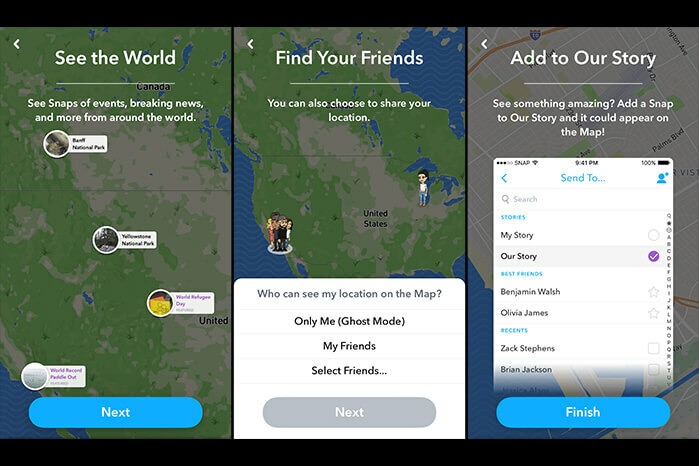 Snap Maps will roll out as an update soon, and is another step forward in Snapchat’s battle to outdo its copy-cat competitor, Instagram. 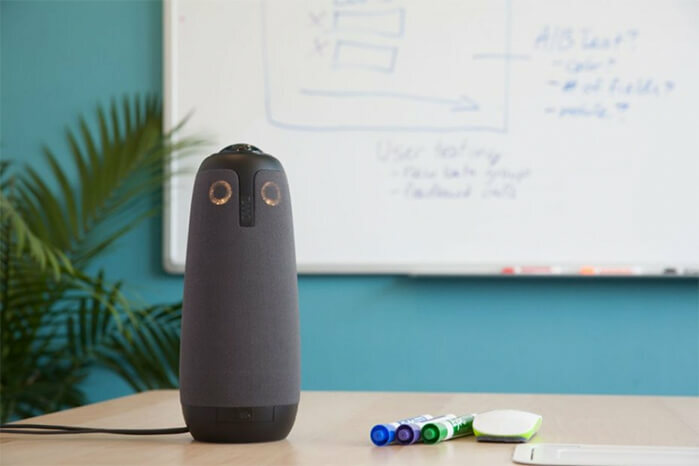 Owl Labs released their new robotic, 360-degree camera called The Meeting Owl, created for office spaces and conference calling. The Meeting Owl offers a panoramic view of the speakers in the room and automatically shifts the focus to whoever is talking using machine learning. The Owl is equipped with two LED indicator lights that make it look like the big-eyed bird and is intended to remove the frustrations of manually moving a camera or fumbling with a remote during meetings. The Meeting Owl works with platforms such as Skype, Google Hangouts and Slack video. If Owl Labs receives positive feedback and demand from their users, they hope to develop their own smart meeting analytics software to go along with The Owl in the future. Co-Pilot, by Stackla, is a new program that uses machine-learning algorithms to sort through user generated content (UGC) and decide which posts you should use next. Intended for large companies, corporations and brands, Co-Pilot can shuffle through billions of social media posts across dozens of platforms to find the right one for your company. The program decides whether or not certain posts are something your company would personally publish using algorithms to find content that relates to your brand. Co-Pilot also determines how well your users will respond to the posts, pulling content that will generate engagement with your audiences. So now you can sit back and have users generate your content while an AI machine chooses the content for you and voila, your work is done. Thanks to developer Abhishek Singh, you can now enter the world of Super Mario Bros. via augmented reality. HoloLens and the game engine Unity were used to fully recreate the first level of the NES classic and all of its 8-bit artwork. Players become Mario as they journey through the level in augmented reality, moving, jumping and punching blocks surrounded by their real-world environment. This innovation is an exciting advancement for AR and demonstrates the possibilities of old technology and new technology coming together for something great. Kentucky Fried Chicken’s new spicy Zinger chicken sandwich is being sent up into the stratosphere to float at around 100,000 feet. Why? The stunt is part of an advertising campaign for KFC, but it is also a step forward for the high altitude balloon company, World View Enterprises, who is launching the spicy chicken snack. 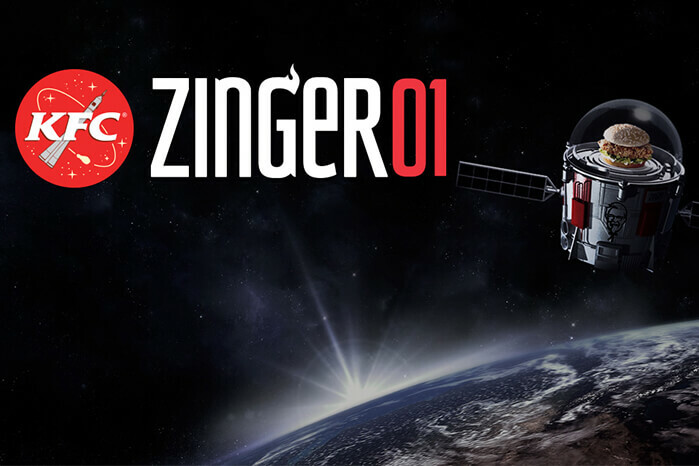 The vessel for the Zinger 01 Mission is a sort of balloon-vehicle known as The Stratollite. It’s similar to a satellite but instead of orbiting our planet, it floats around the stratosphere and normally carries instruments and probes for communication services and scans of the Earth’s surface. The Stratollite has only been flown for a maximum of 12 hours, but this time will be flown for four days (carrying a tasty snack) and will be live streamed for audiences everywhere to watch.